On the last week of May the city of São Paulo held the biggest meeting between players from Chinese and Brazilian internet and ecommerce. Chinnovation 2017 reunited 25 top executives from some of the most important Chinese companies such as Baidu, Didi, Meitu, Kuaishou, and Chetaah Mobile, and over 500 executives from various Brazilian technology companies. EBANX was one of the sponsors. At the event, one thing became very clear, China is overwhelmed by Brazil’s market dimensions, yet immensely interested in it. That’s no surprise: Brazil holds a population of more than 207 million people and is one of the six biggest cross-border markets, behind United States, Australia, UK, Germany, and China. And this market is estimated to grow 12% this year. The similarities between the Chinese and the Brazilian markets also attract the Chinese. “Our online services market is very much alike the Chinese one. 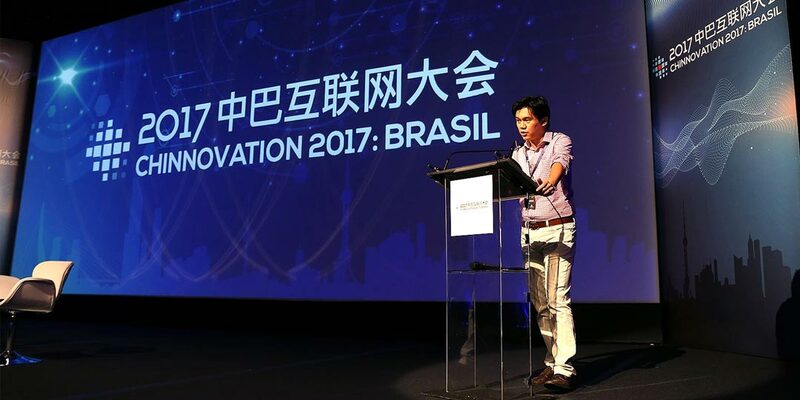 For instance, we also have digital signing monetization models which are not often used in countries such as the United States”, says In Hsieh, CEO of China-Brazil Internet Promotion Agency (CBIPA), that organized Chinnovation 2017 with the support of Baijing, a platform of Chinese media that promotes the internationalization of Asian companies. China is on its way to become a cashless nation. According to In, “The country is naturally evolving to it.” For the Chinese companies to succeed in this scenario, they have to reach 100% of local and cross-border possible consumers. That includes the ones that do not have a bank account and that do not have an international credit card (that can process in foreign currency). EBANX is a valuable ally on this journey because it offers local payment methods from Brazil and other Latin American countries to international merchants, so they can sell to the whole market. On May 29th, EBANX organized a dinner for all the Chinese executives. 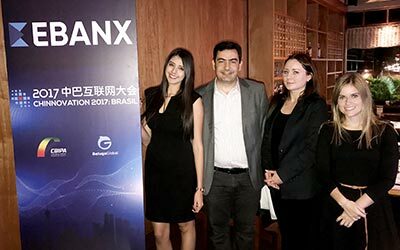 Mónica Gómez, LATAM Payments Expert at EBANX, gave an introduction to attendees entirely in Mandarin in which she welcomed everyone and talked a little bit about EBANX Payments. Later Aline Carvalho, Merchant Services Manager, and Ania Czech and André Allain, Business Development Managers at EBANX, presented some EBANX merchant case studies on AliExpress, GearBest, Spotify, and Airbnb. They showed how these merchant’s sales in Brazil increased after they started processing local payment methods with EBANX. The Chinese executives were amazed by the quantity of processing that EBANX does for these giant global e-commerces. “The event’s goal was to show all of Brazil’s potential. It fulfilled its mission, and it was a success”, according to Allain.